Corrib Travel has selected the best destinations for a city break in Europe and further with friends, family, or lovers. There are plenty of things to do and see in Amsterdam; this beautiful city is steeped in history and culture. From the Van Gogh museum to the house of Anne Frank, a boat ride through the canals, and the Heineken factory, you are sure to never be bored. The city has many intriguing architectural sights to be explored. You will find Gothic facades at the Plaça St Jaume and the Modernisme, the modern wonders of today, from Picasso to Susana Solano. Wander Las Ramblas, a palm tree lined, pedestrian only street, filled with varied street performers, market stalls, and every shop you could imagine. The capital city of Portugal has become an increasingly popular place to visit in recent years. With a warm Mediterranean climate, in spite of its facing the Atlantic Ocean, plenty of bleached white limestone buildings, and intimate alleyways, Lisbon's mix of traditional architecture and contemporary culture makes it the perfect place for a family holiday. Paris is such a beautiful and cultured city, famous for its food, art, architecture, fashion, and romance. By day visitors can wander the Parisian streets, passing quaint bakeries, fresh markets, and intriguing boutiques. Classy, cosmopolitan, and of course, the city of love, Paris is just a short trip away from Ireland but you will feel that you are worlds apart in the French capital. 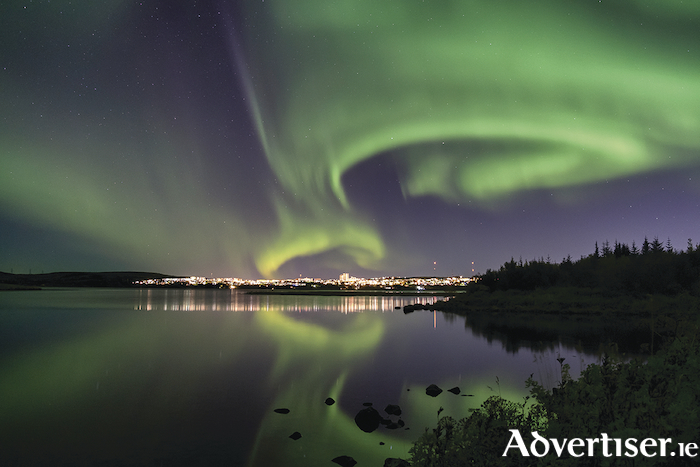 The Icelandic capital bears the distinction of being the world’s northernmost capital, and for virtually every Icelandic visitor it serves as a gateway, to the city itself or to the rugged adventure options beyond. Founded in the country’s southwest at the end of the 18th century, Reykjavik has been Iceland’s cultural hub ever since. These days, that culture includes a hip and internationally recognized music and arts scene, not to mention a notoriously wild nightlife. Besides the shopping, there are so many things to do and see while you are visiting New York. You can hop on a ferry to Staten Island and see Lady Liberty, take in the breath-taking skyline from the top of the Empire State Building, catch a world class show on Broadway, reflect at Ground Zero, or be a part of the electric atmosphere at Times Square; this exciting city has something for everyone. Named the city that does not sleep, New York’s nightlife is electric; you can find something to suit everybody, from glamorous bars and pubs, to high story nightclubs. Eating out in New York is a treat. You can find any kind of cuisine you want, from street food stalls to Michelin star restaurants. Drop into Corrib Travel on 2 Eyre Square or call 091 564713 and speak to the specialists who can tailor make the perfect city break for you.